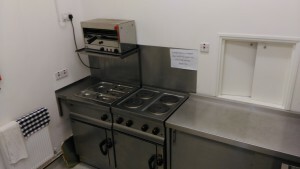 serving hatches to Front/Committee Room and to corridor leading to Main Hall. 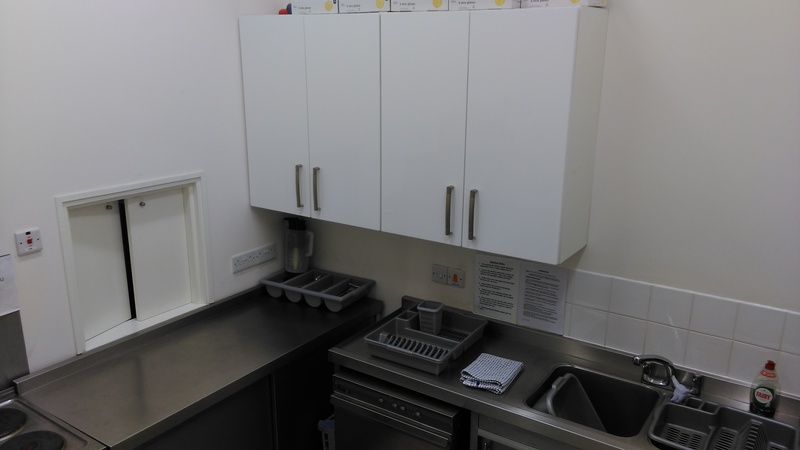 The approximate dimensions of the kitchen are 6m x 5m. 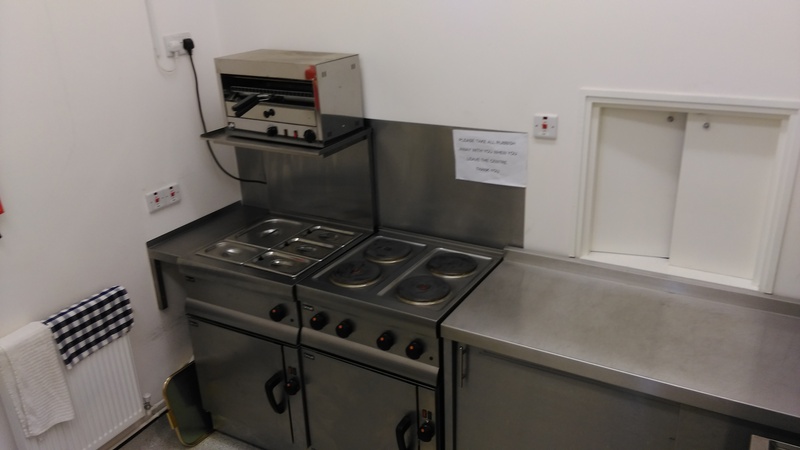 The hire rate for the kitchen is £3.00 per hour. 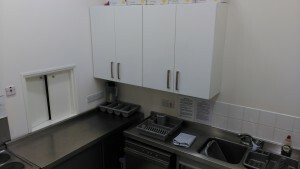 The kitchen can be hired in conjunction with any other room.